Located in the heart of the Lowcountry, the University of South Carolina Beaufort is a multi-campus institution serving the southeast coast of South Carolina and Georgia. 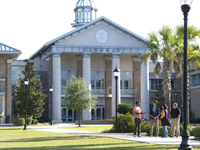 Serving 2,000 students, USCB has locations in Bluffton, Beaufort and Hilton Head Island. USCB offers a broad range of academic degree programs, and the unique location makes it a great place to live and learn. For more information, click our website or call our main campus number listed below. 843-208-8000. The mission of the Beaufort County School District is to ensure excellence in education for every learner that prepares each with the knowledge, skills and personal responsibility to succeed in a rapidly changing global society. 800-763-1875. When it comes to education, Hilton Head Island offers exceptional opportunities, from pre-K through college. 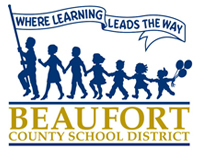 The Beaufort County School District encompasses 586 square miles in the heart of the South Carolina Lowcountry, with more than 19,000 children attending 30 Beaufort County public schools. A number of private school options are also available. In addition, several top-rated universities are located right here in the Lowcountry.